Being mom of two boys, I know the important of education and glad to have take time out to attend this private event on last Thursday' morning. Education today is no longer about the consumption of knowledge. Schools today are preparing their students for challenges in real life and imparting skills that they would use in a highly competitive 21st century. With that, the role of a teacher in moulding citizens of the future is an ever important one and the learning approach in schools needs to change to reflect the needs of the future. 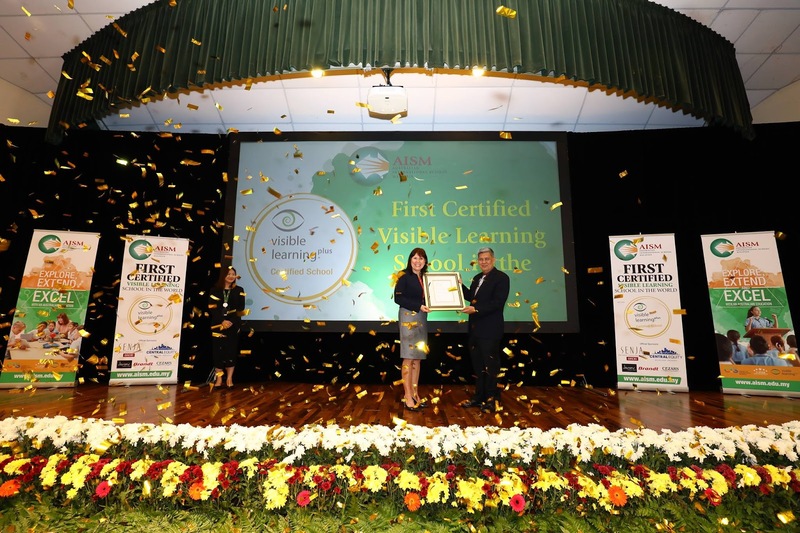 AISM celebrates being the First Certified Visible Learning School in the World. The Australian International School Malaysia, a part of Taylor’s Schools, knows how the delivery of an international curriculum is and has invested in equipping its teachers and students with a new teaching and learning method called the Visible Learning approach alongside the Australian curriculum. The school which has offered an Australian education in Malaysia for the past 17 years, held a launch ceremony on 12 October to announce that it is the first Certified Visible Learning School in the world. This is testimony to its commitment to deliver outstanding teaching and learning practices at its campus in Seri Kembangan. "The number one thing that differentiates an impactful teacher from others is passion about children's learning, a teacher who has taken time and effort to build up trust between themselves and the student. We are working hard to ensure this is our schools," says BK Gan, President of Taylors Schools. Visible Learning is an evidence-based approach to teaching and learning researched and developed by Professor John Hattie of the University of Melbourne. Professor John Hattie's Visible Learning practices have influenced teaching practices and form the basis of teacher training courses for many years in schools from New Zealand to Scandinavia and United States. 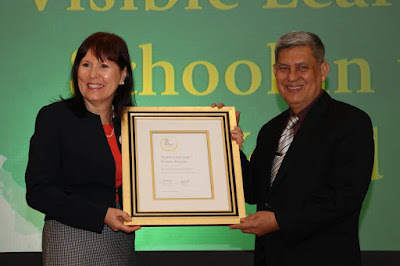 It was only recently that Visible Learning School Awards were being awarded, and because of the commitment of our teachers and leaders towards Visible Learning practices that AISM have become the first school worldwide to revive such an accolade. The private event was attended by a 150-strong audience, including representatives from the Australian High Commission and Malaysian Ministry of Education and Department of Education, members of influential business associations and organisations, AISM parents and staff, as well as members of the media. The event was proudly sponsored by AISM’s neighbouring property developer BRDB Developments, Australian property company Central Equity, Jasons Food Hall, Brandt Malaysia and Cezar’s Kitchen Sdn Bhd. 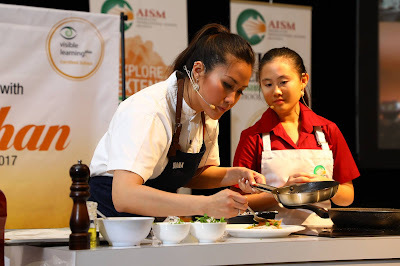 The highlight of the ceremony was an appearance by the recently crowned Australia Masterchef Winner 2017, Diana Chan, who was not only invited to show off her culinary skills in an exclusive cooking demonstration with a student, she also shared her MasterChef journey of trials and challenges and how she used Visible Learning attributes towards her success. It's the day that I get to meet Diana Chan in person, she's friendly and has a good skill in cooking, she can cook while answer questions of the guests at the event. “I am so impressed by the Australian International School Malaysia and the way they are preparing their students to be successful in life as well as successful in their academic studies. It is impressive to see children learning how to set high goals, recognising the importance of listening to feedback and giving good feedback as well as learning how to reflect on mistakes. I hope my children in the future can go to a school like AISM,” says Diana Chan, the Malaysian-born Melbourne-based accountant by profession. Diana also supports charitable causes, one of which is Beyond Blue, an Australian, independent non-profit organization which addresses issues with depression, anxiety disorders and related mental disorders. The school donated money and raised funds during the event towards this organisation. 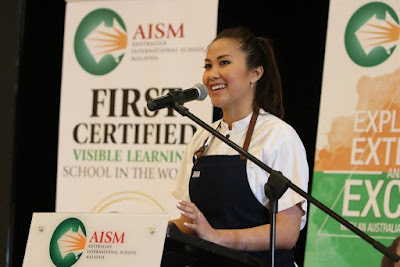 Diana also participated in a live cook-out session, assisted by a AISM Year 11 student, Annabelle Bateman, who had emerged as winner in an all-student cooking competition organised by AISM for its students, prior to the launch ceremony. The guests were later taken on a Visible Learning classroom tour where they saw students being taught with clear learning intentions and success criteria. Students seemed to know exactly what they needed to do and what success”looked like”. AISM Principal, Dr Deborah Priest is presented the Visible Learning Certificate by Tan Sri Dato' Alimuddin, Chariman and Board of Governor of AISM. “At AISM, we have been excited to see the benefits of Visible Learning for our students. Our students, even those in the lower Junior School, are noticeably changing. They are all creating, editing and re-setting learning goals throughout the year and they are all enjoying and taking more independence and responsibility for their own learning. From an academic perspective, we have seen significant tangible improvements in diagnostic testing data and student engagement, and as students progress through the school, we anticipate that the pre-university results will also continue to improve,“ adds AISM Principal, Dr Deborah Priest. As a Visible Learning School, AISM students and teachers share a common language of learning. As a result, their students are adaptable and effective communicators, collaborators and creative thinkers. 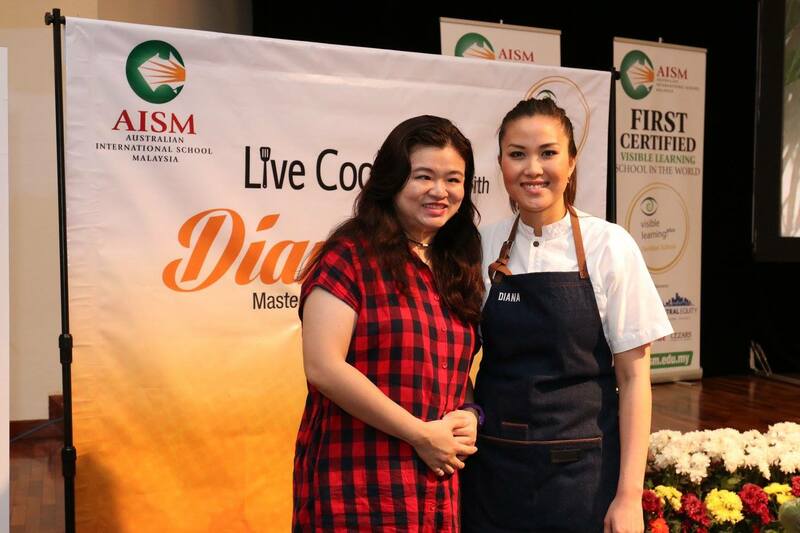 I am up close and personal with MasterChef Australia Winner 2017, Diana Chan in a Live-Cookout session in conjunction with the Visible Learning Certification Launch. Special thanks to AISM for inviting me to their private event at Seri Kembangan. 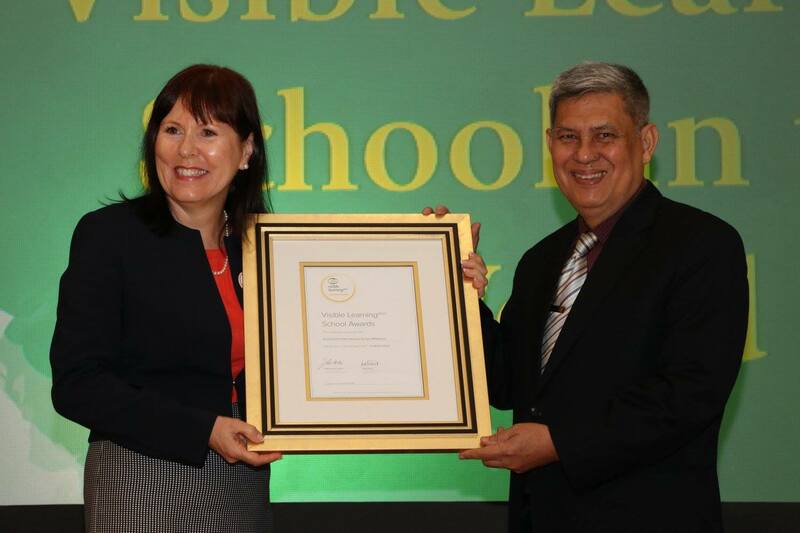 Once again Congratulations to Australian International School Malaysia (AISM) Recognised as First Visible Learning School in the World. The Australian International School Malaysia (AISM), a member of the Taylor’s Education Group, is the only International School in Malaysia offering the New South Wales (NSW) Australian curriculum taught by highly qualified international teachers, predominantly Australian trained and experienced.The Australian curriculum offers seamless transition into education pathways in Australia and provides an international qualification recognised by top universities around the world. Growing steadily over the years since its inception in 2000, the school caters for children from age 3 (Pre-school) to age 18 (Pre-University). Located in a secure gated community in Seri Kembangan, AISM overlooks the picturesque South Lake of Mines Resort City, a short drive from Kuala Lumpur City Centre. The school houses its Junior, Middle, and Senior schools on one campus and has more than 650 students represented by over 37 different nationalities. 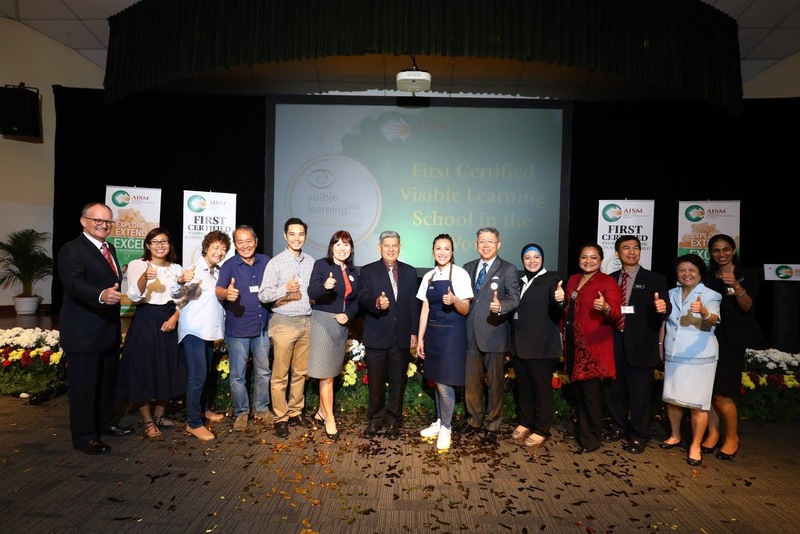 The school is a member of the Council of International Schools (CIS) and was recognised again with the prestigious 5-Star Excellence Awards from the Ministry of Education Malaysia. If you like to know more about AISM, you can also visit the Facebook, click on the link to visit. wah so fast... oh nooo, my writeup not up again. I'm so slow nowadays. Agree. I always admire the method of education by Westerner. Always innovative. Kalau banyak duit ofcoz nak hantar anak ke international school..hehehe. wah.. best if can put children into intrrnational school. It is amazing to see how a school is focusing on students' learning and engagement. It sounds like a great private event. International school may be expensive but it's totally worth it. Nice picture of you and Diana! Wow... kalau ada peluang nk masuk belajar dan jadi chef terkenal. I love cook. Nice info and really great for other kids..
awesome ! I always thinking that this kind of school is for rich people only. Looks like a great event and you had the chance to meet Diana too. That's a great meet up I am sure. Education is not cheap these days. And I pity the parents who have to work so hard just to be able to afford quality education. Studying in an international school, a child would grow up with a different group of friends as well. So good of you taking photo with Diana! She is so talented! International school is a really nice approach for kids to learn different education too.